WASHINGTON (Dec. 30, 2008) -- There'll be something extra in everybody's paycheck come January. 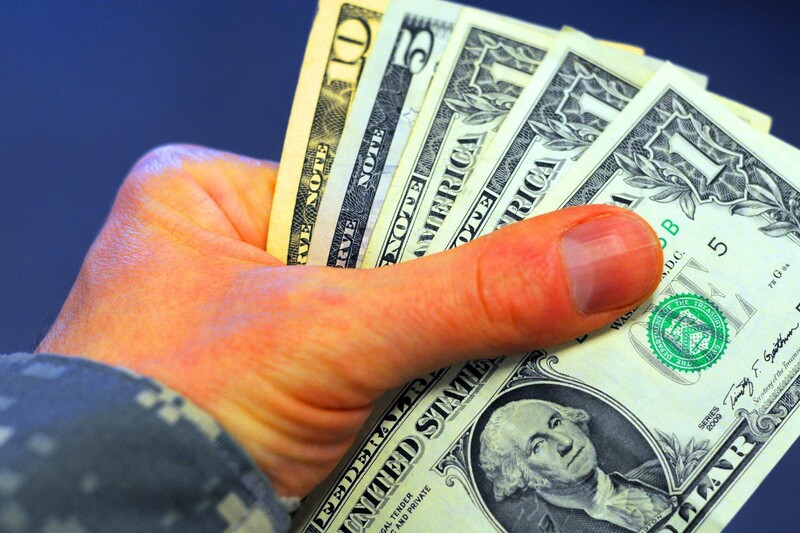 Active-duty personnel will draw an across-the-board 3.9 percent pay raise beginning Jan. 1. A sergeant with five years of service, for instance, will see an increase in monthly base salary of about $88 dollars. A captain with nine years of service would see nearly $200 per month extra. The 2009 military pay tables can be found at: http://www.dfas.mil/militarypay/militarypaytables/2009MilitaryPayTables.pdf. Pay raises aren't limited to military personnel, however. Civilian employees under both the General Schedule and National Security Personnel System pay plans are also receiving pay raises. Civilians under the GS system get an across-the-board pay raise of 2.9 percent in 2009. Civilians under the NSPS pay system will see an increase of 1.74 percent and can earn additional performance-based salary increases through the NSPS "pay pool" process. Additionally, all civilian employees rate a locality pay, which is based on the cost-of-living in their employment market. Locality pay rates for 2009 range from about 13.86 percent to 34.35 percent of an employee's base pay.